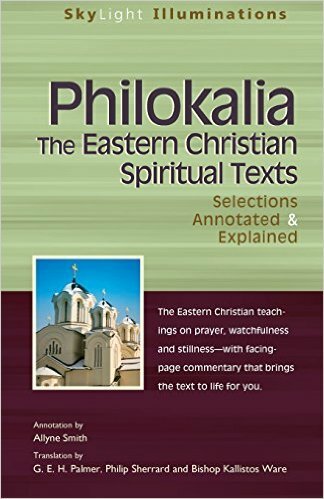 The Philokalia is a foundational text of the Eastern Christian Church. It shows the determination of the early Christian Monks and their devotion to their practice. In this way, the text and the many quotes that are found provide inspiration to the modern martial artist in so far as it illustrates the importance of remaining true to your calling and striving for a purer more insightful practice. This introduction to the wisdom of the Philokalia illuminates a text that until now has intimidated the general reader in its scholarly translations from Greek and Russian. Allyne Smith focuses his thoughtful selection on seven themes that recur throughout the five-volume work―repentance, the heart, prayer, the Jesus Prayer, the passions, stillness, and theosis. Smith’s enlightening, accessible facing-page commentary fills in the historical and spiritual context, clarifies core teachings, including the Eastern understanding of salvation, and draws connections to modern-day practices, such as contemplative prayer.